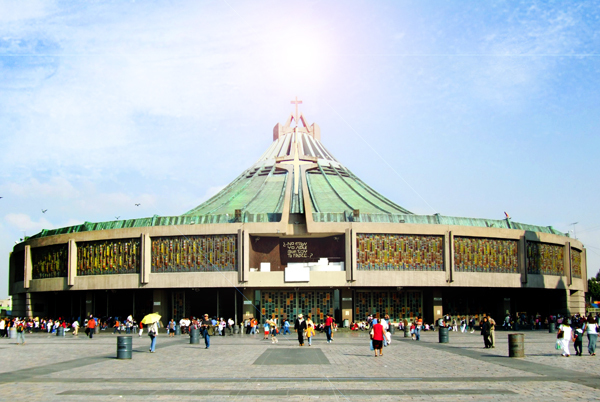 The Basilica of Guadalupe is one of the most visited Catholic Shrines in the world and it is the National Shrine of Mexico. 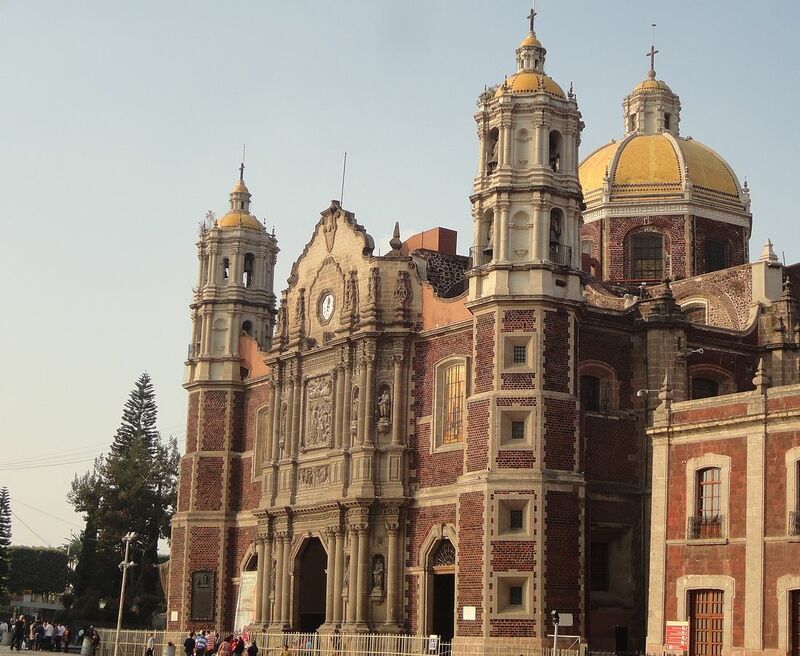 Located in the north of Mexico City it is considered the second Catholic Shrine in importance after Vatican City. The Old Basilica, known as the “Templo Expiatorio a Cristo Rey,” was constructed between 1531 and 1709. On May 1st 1709 the Basilica was consecrated. Juan Diego’s tilma, cloak, was housed in this Temple from 1709 to 1974. In 1904 the temple was granted the category of basilica which in Latin means Royal Hall. The Old Basilica, as many other structures in Mexico City, was sinking and in order to preserve this architectural jewel it was decided that a new Basilica was to be constructed. The old temple was closed to the public from 1976 to May 2000. 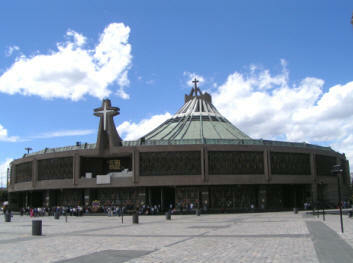 The modern basilica, named Basilica of Saint Mary of Guadalupe, was built between 1974 and 1976 by the architect Pedro Ramirez Vazquez. It is a circular building constructed in such way to allow the cloak to be viewed by those inside. It has a 100 meter diameter. To guarantee that this Basilica would not sink, the structure is supported by a major pylon.